Oh what a winding and bumpy road it's been, huh, M. Night? I've been a big fan ever since he pulled the rug out from moviegoers back in 1999 with “The Sixth Sense.” Unfortunately, he's never found the same success since. “Unbreakable,” “Signs,” and “The Village” were all very fine films, flaws and all. After a misguided foray into special effects laden sci-fi fare, he returned to form for many with last year's “The Visit.” That “found footage” thriller certainly had it's moments but was still wildly flawed. And now we have “Split” which many are declaring to be his best work since he made a name for himself nearly twenty years ago. 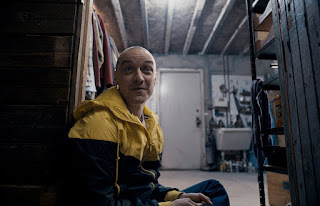 Unfortunately, “Split” fails to regain any of the thrilling spirit that permeated M. Night's early films, and while it features fine performances and some tense moments, like that train in “Unbreakable” it completely derails in its final act and features an unnecessary and gross backstory that taints the entire film. It's important to look at the positives in any film, matter how terrible it is. This is how bad movies like “Suicide Squad” and “Passengers” can end up as Oscar nominees. 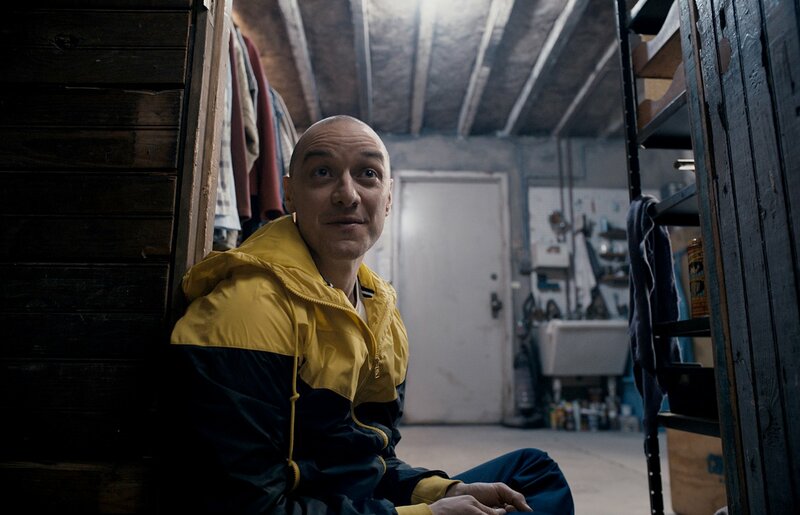 The biggest positive of “Split” is easily the central performance from James McAvoy who plays “Dennis,” and half a dozen other characters, because Dennis has dissociative identity disorder. “Dennis” is really Kevin Wendell Crumb and has 23 various personalities living in his head. “Dennis” kidnaps three teenage girls and locks them up in his creepy basement. Two of them are best friends who are popular and the third is a social outcast named Casey (Anya Taylor-Joy). The girls quickly get that their kidnapper has multiple personalities and Casey being the “survivor” of the group uses it to try and help them escape. We see flashbacks to Casey's childhood and how she's a victim of her uncle's abuse. It's an icky subplot that doesn't add anything to the film. Kevin shows up to daily therapy sessions with Dr. Karen Fletcher (Betty Buckley) as a flamboyant fashion designer name Barry. Karen has a theory that multiple personalities can actually create physiological changes in a person with this disorder. Kevin's various personalities keep talking about “the Beast” and we're constantly waiting to see how Casey's flashbacks, the significance of the sessions with Karen, and “the Beast” will all come together in a satisfying way. And if there's a fun twist, so why not. This is an M. Night Shyamalan film after all. Unfortunately nothing really comes together and the film unwisely turns to the supernatural to explain things that I never felt on board with. The story completely comes apart and instead of just going with it I felt far removed from anything I had been watching. McAvoy is good yes but for what? The story's weak ending is no justification for such a great performance. Casey's backstory fails to resonate and instead reeks of unwarranted exploration.